How Does Herbicide Resistance Occur? Editor’s note: Robert Battel, Michigan State University Extension Field Crops Educator, recently had a discussion with a farmer about herbicide resistance in weeds. 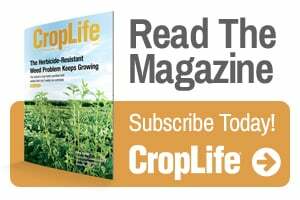 The grower told him that his understanding of herbicide resistance was that if a reduced rate of a herbicide was used, a weed might only be half killed and could come back stronger (resistant) to the herbicide. Battel said he understood how that might make sense to people, but that it’s just not how herbicide resistance happens. While he tried to explain how resistance is developed, the farmer never really got it. Battel decided to take the subject on again in this article on the MSU Extension website. Herbicide resistance is the inherited ability of a plant to survive and reproduce following exposure to a dose of herbicide that would normally be lethal to the wild plant. Resistance happens with the repeated use of the same herbicide, or herbicides with similar modes of action on a weed population. Resistant plants were already found, very infrequently, in the weed population before a herbicide was ever used. Think of it this way—there might be a few million weed seeds of a particular species in, say a 40-acre field. The overwhelming majority of plants from those seeds are controlled by a given herbicide. A slim handful are in every way the exact same except for one small genetic difference. That small genetic difference allows the weeds from those seeds to overcome the effects of that herbicide as they germinate. After several years of using the same herbicide, or herbicides from the same group, that very infrequently occurring version of the weed—a version that looks exactly like the type that was controlled by the herbicide—is allowed to reproduce. At first it might look like an escape, or a small patch of weeds that survive. Eventually, it becomes the dominant type of that weed in the field. It’s “survival of the fittest” in fast forward. Use mechanical weed control methods, such as cultivation, to control weeds. Rotate herbicides — do not make more than two consecutive applications of herbicides with the same mode of action in the same field. Use tank mixtures of herbicides with differing effective modes of action. Scout your fields and destroy weed escapes. Use herbicides with short soil residual times — herbicides with long soil residual times generally favor herbicide resistance. Clean your equipment before moving to a different field to prevent the spread of resistant biotypes and save work in fields with suspected herbicide resistance for last.